Riding strapless on a foil board gives you a sense of freedom but practically allows you to escape those inevitable crashes! General riding is essentially the same as with straps but some do find the first hurdle of the waterstart a little bit tricky. This video is suitable for those who have already learnt the basics of foiling and are looking to move to strapless riding. For those learning to foil and wanting to start on a strapless board, this video is an ideal accompaniment to the main Waterstart (strapped) video, building on these core techniques. Riding strapless on a foilboard, much like on surfboard, gives you a sense of freedom to move around and experiment but also practically allows you to more easily escape the foil during those inevitable crashes. It can also be easier when you want to learn the foot change particular for those who already ride a surfboard strapless. General riding is essentially the same as with straps, requiring a little more thought about the weight over your front foot but some do find the first hurdle of the waterstart a little bit tricky. The key as always is kite control and ensuring you keep the board on its side until you are ready to pop up. Most people will find it easier to learn to foil with front straps, removing them later once they have the basic technique sorted. 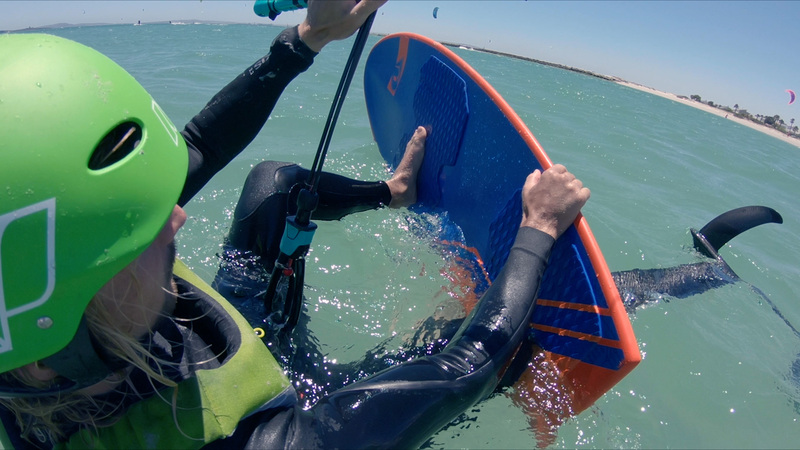 But if you are jumping straight in at the beginning and riding strapless be sure to watch the full Waterstart video for more detailed technique discussions, as here we’ll just focus on some additional tips. Please confirm that you'd like Progression to email you when the new Waterstarts - Strapless is available to purchase? You currently have an notification setup for the new Waterstarts - Strapless and Progression will send you an email to let you know when it is available to purchase.